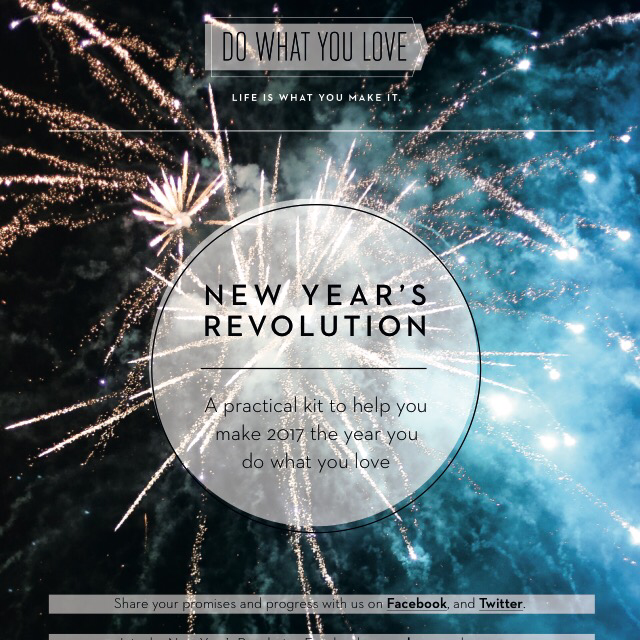 Are You Planning to Do What You Love? I wrote about this marvelous tool this time last year…and it is once again time to encourage you to check it out if you haven’t done so already. 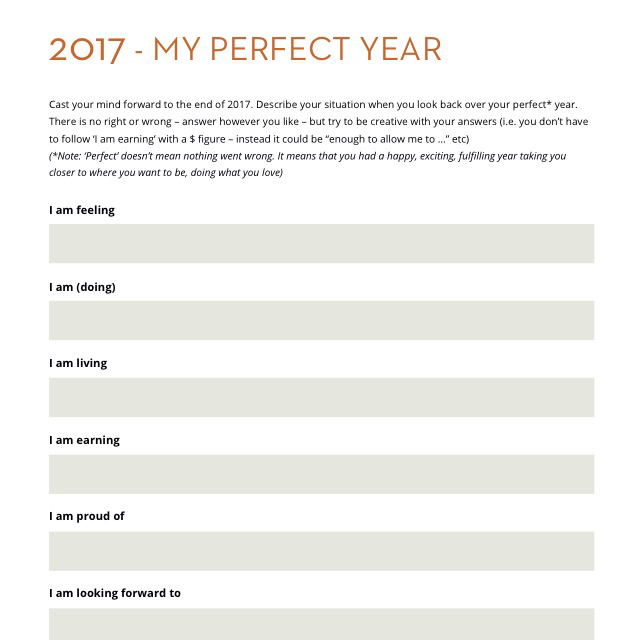 I love this document for the structure it provides to think about the year that has just passed, and then dream big for the New Year 🎉. 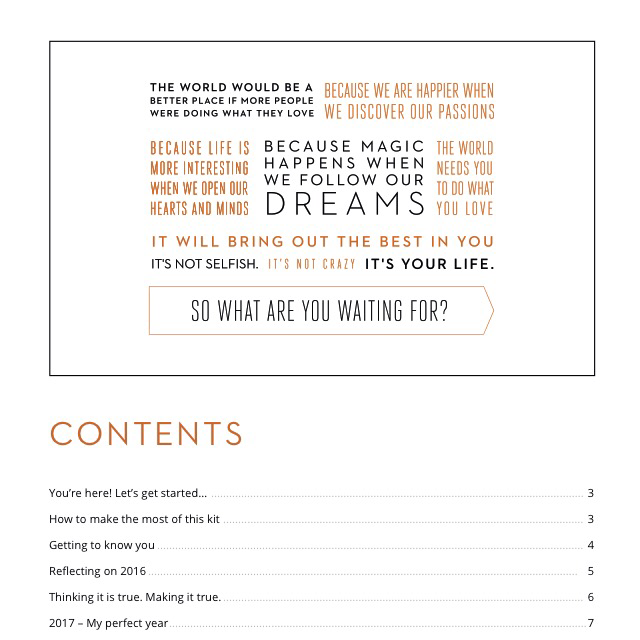 Here I’ve provided just a couple of screen shots…the table of contents and one of my favorite pages in which you visualize yourself a year from now, having reached those goals. The latter page is pretty powerful! And I swear there is some magic in the guide because I’ve been able to accomplish so much more than I would have imagined a few years ago. (I’ve used it since 2014.) What can you imagine yourself doing next year 😀? This entry was posted in Uncategorized on December 6, 2016 by neonkittyquilts.